Chase waterfalls: Have you ever taken the time to visit the waterfalls along Grassi Lakes Trail? They're pretty photogenic, especially in spring when the snow melts. Take the "difficult" trail (check the Alberta Parks trail report to make sure it's open), then step off the trail just before the stairs, to get closer to the falls. Watch your step as the rocks are slippery! Rain jacket recommended; umbrella optional. ;) Return to the main trail to visit two turquoise ponds, and check out the pictographs past the second pond before heading back on the "easy" trail. 3.2 kilometres round trip. Explore a Cold War Bunker: Some say the The Heart Creek Bunker aka Bow Valley Bunker or Diefenbunker was built to house politicians, but it was actually constructed at the height of the Cold War to house sensitive documents. While the bunker was never used, large (80 foot x 25 foot) caverns remain in the side of Mount McGillivray, near Heart Creek. For directions, please read my story: The Bow Valley Bunker. Note that the cavern entrance is on an avalanche slope, so you should NOT do this hike when there is snow on the mountain. Bring a headlamp or flashlight. 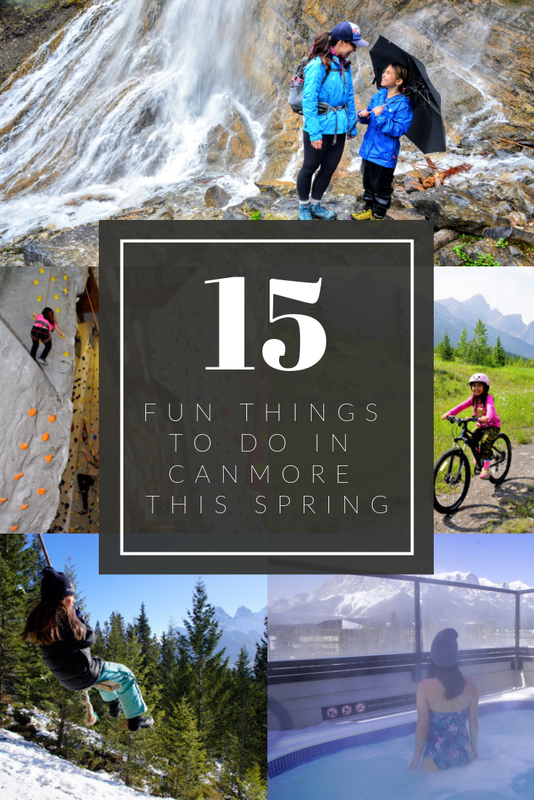 Play outside at Canmore Nordic Centre. Cross country ski and fatbike until April (it's where Canada's National Cross Country Ski and Biathlon Teams train so you can count on impeccable grooming). Read Cross Country Skiing at Canmore Nordic Centre for more information. After the trails dry out, return to CNC for orienteering, disc golf, and mountain biking. There's a fun bike skills park too and awesome Day Lodge with showers and concession. Swim, climb, and work out at Elevation Place. Kids of all ages love the large aquatic park with its pools, lazy river, waterslide, steam room, and hot tub. After a swim, challenge yourself in the climbing gym with routes of varying difficulty. Climbing lessons are available if you'd like to up your skills in a safe environment. Ha Ling Peak - almost at the top! Bike the beautiful Rocky Mountain Legacy Trail from Canmore to Banff (26.8 km one way). 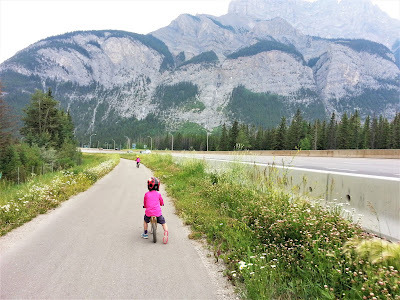 This paved trail doesn't have many big hills and has several access points (Travel Alberta Visitor Information Centre, Valleyview Picnic Area, Cascade Ponds), so you can ride as long or little as you like. On the return trip, let the prevailing winds push you back to Canmore or return via ROAM bus; equipped with bike racks for your convenience. 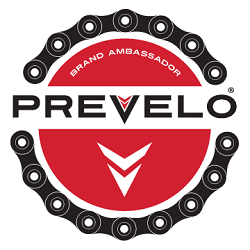 The Legacy Trail is best biked from mid April to mid October. Canmore Museum and Geoscience Centre is home to hands-on exhibits, artifacts, videos, and displays relating to Canmore's history, geology, and geography. Our kids loved completing the scavenger hunt to win a prize. 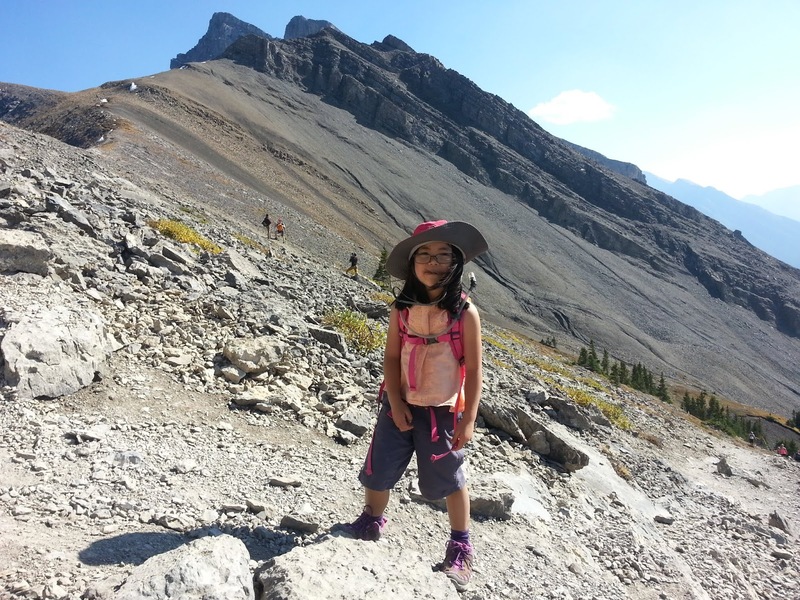 To learn more about the museum, check out our story: Exploring Canmore Museum & Geoscience Centre. Don't miss the nearby NWMP Barracks, "the oldest NWMP site in Western Canada to still stand on its original location". 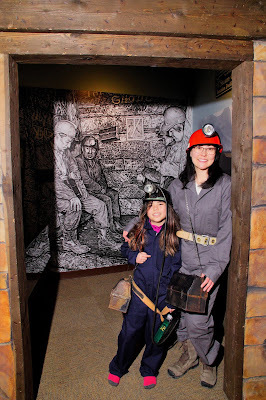 Miner selfie at Canmore Museum! Swing into the sky on the Canmore rope swing. 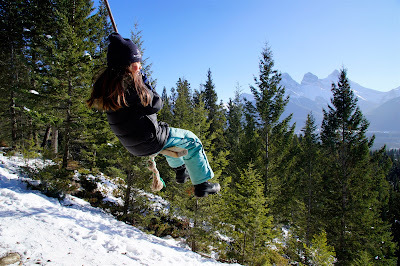 The view of the Three Sisters from the rope swing is pretty sweet, making it one of Canmore's most instagrammable spots. How to get there: From Cougar Creek/Mount Lady MacDonald parking lot, cross the creek on Elk Run Blvd, take your first left on Canyon Road, then first right on Ridge Road. Just past the small playground, take the path on the left up the hill. At the junction, turn right and in a few hundred metres, you will see the swing hanging from a tree. Use at your own risk! It's a 500 metre walk to the playground and about a 3 minute walk to the swing. March 25, 2019 Update: The rope swing we visited in late February has been taken down. For another rope swing, visit Quarry Lake or Johnson Lake. 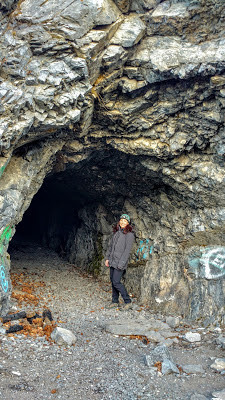 Explore Grotto Mountain's Rat's Nest Cave with Canmore Cave Tours. 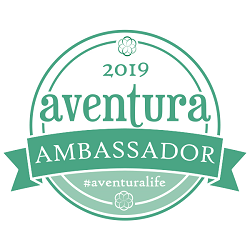 Walk along narrow ledges to caverns adorned with stalactites and stalagmites, rappel into the depths, and squeeze through the Laundry Chute. There are several tours to choose from depending on how long you'd like to stay in the cave and how adventurous you are. Recommended for ages 10 & up. Look for wildflowers in Bow Valley Provincial Park (May & June). A short drive east of Canmore, Bow Valley Provincial Park boasts several family-friendly interpretive trails with lots of wildflowers including lady's slipper orchids and tiger lilies. Please leave the flowers for others to enjoy! 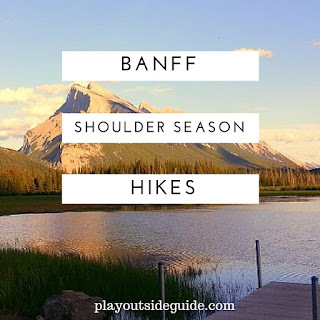 For more information on hiking trails and other activities in the park, please read our Bow Valley Provincial Park Camping & Recreation Guide. Learn to stand up paddleboard (SUP) at Canmore Reservoir aka Rundle Forebay. The water is typically pretty calm and the views are lovely. For details on Rundle Forebay, read Where to Stand Up Paddleboard Near Calgary. Cool off at Quarry Park, a popular spot for sand and water play as well as SUP yoga! 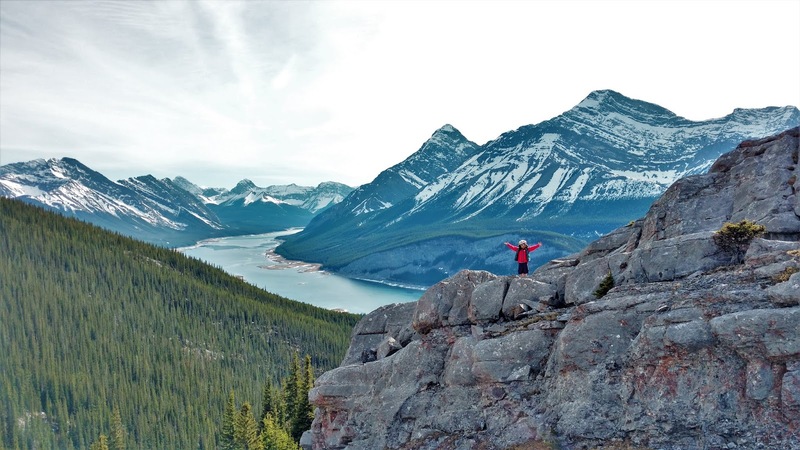 Hike West Wind Pass, one of the best short hikes in Kananaskis, to a spectacular viewpoint of the Spray Valley. 4.2 km return, 380 m elevation gain. 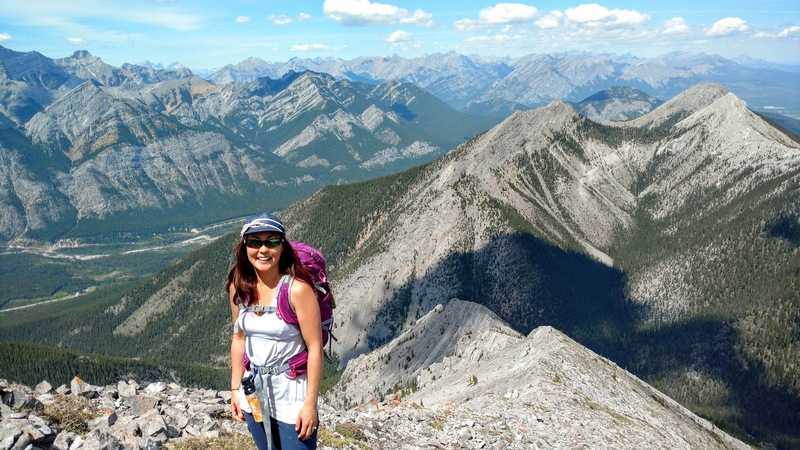 For details, see West Wind Pass Trail, Kananaskis. 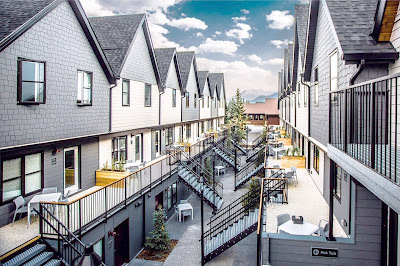 Canmore Uncorked Food & Drink Festival celebrates Canmore's fantastic dining scene with tasting menus at select restaurants and special events including a Long Table Dinner, Grande Big Brunch, Drink Festivals, and Progressive Dinner Tour (by bike! with an Olympian guide!) from April 25 to May 5, 2019. Canmore Mountain Market is where you can pick up local treats or handcrafted items. Open Thursdays from May long weekend to October; located beside Canmore Civic Centre Plaza. 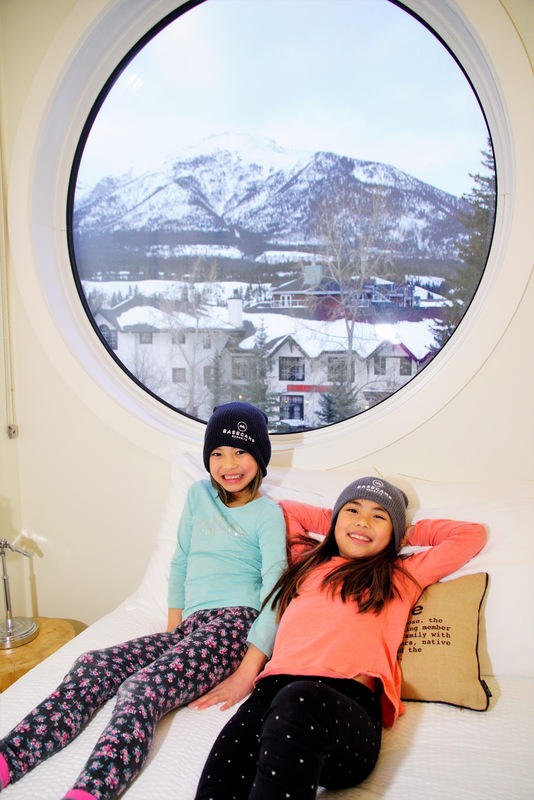 Basecamp Resorts - Canmore offers modern, spacious suites accommodating 2-16 people (studio, 1, 2, 3, and 5-6 bedroom suites available). 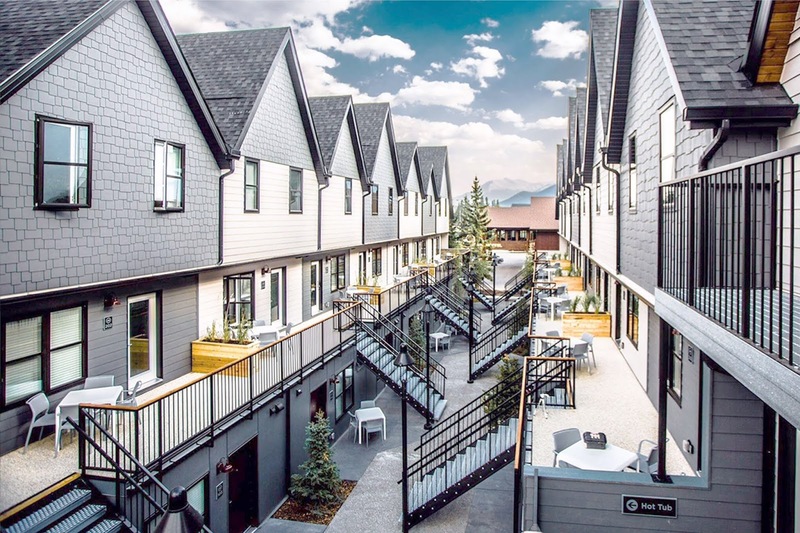 Conveniently located on Bow Valley Trail, a short walk from downtown Canmore, Basecamp has everything you need to feel at home from a full kitchen and high speed internet to blackout blinds and wonderful Rocky Mountain soap products (love the lemongrass soap!). Virtual check-in is easy; simply punch in the keycode that is emailed/texted on your arrival date. The same code gets you in to the hot tub area. We had to fight the girls for the master bedroom. Love the round window and view of Mount Lady MacDonald! 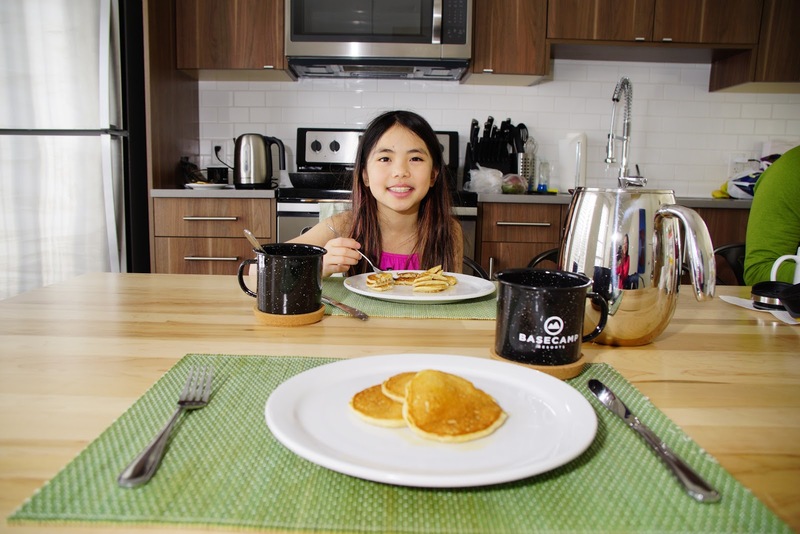 Whether you decide to make your own meals or dine out, everything you need is close by. Over the long weekend, we cooked most meals at our suite (Safeway is less than 1 km away so getting extra groceries was a breeze), but we enjoyed breakfast from Rocky Mountain Bagel Company (next door), a latte from Rave Coffee Roasters (at the end of the block) on our way back from Elevation Place, and lunch at Blake (kitty corner from Basecamp). Blake is my kids' favorite because they can build their own bento boxes there. In the evening, watch the sunset from Basecamp's amazing rooftop hot tub, then relax in your home away from home and plan tomorrow's mountain adventures. Basecamp Resort Canmore, Elevation Place, and Canmore Museum & Geoscience Centre generously hosted me and my family for review purposes, but all words and opinions are my own.